Wisdom teeth usually emerge from your gums between the ages of 17 and 24. They are the last of the large grinding teeth at the back of your mouth (molars). Some people never develop wisdom teeth but you could have up to four – one in each corner of your mouth. For most people, wisdom teeth don’t cause any problems so don’t need to be removed. However, if there isn’t enough space for them to grow at the back of your mouth they become what is known as impacted wisdom teeth, and can cause pain, swelling and/or infection. 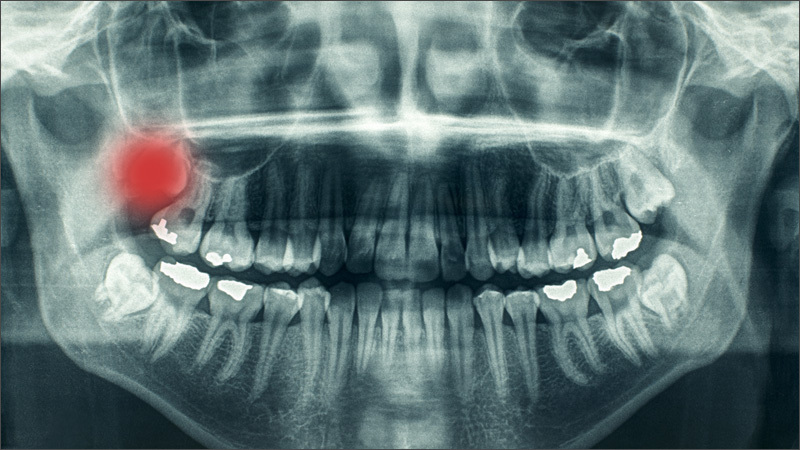 Having your impacted wisdom teeth surgically removed (extracted) can relieve your symptoms. It may be possible for your dentist to remove your wisdom teeth, or he or she may refer you to an oral surgeon. Antibiotics can help treat an infection, but your symptoms may flare up again. Having your wisdom teeth removed is often the only way to permanently relieve the symptoms. If you’re having a general anesthetic, you will be asked to follow fasting instructions. This means not eating or drinking, typically for about six hours beforehand. However, it’s important to follow your dentist or oral surgeon’s advice. Don’t wait until your wisdom teeth evolve into a medical problem to extract them. Contact us to book a consultation appointment to prevent any complications. The operation can be done under local anesthesia with or without conscious sedation (laughing gas). This completely blocks pain from your gums and you will stay awake during the procedure. You may be offered a sedative to help you relax during the operation. If you go to a hospital and your wisdom teeth are particularly challenging to remove, you may be given general anaesthesia. This means you will be asleep during the procedure. Your dentist or oral surgeon will let you know which type of anaesthesia is most suitable for you. Your dentist or oral surgeon will discuss with you what will happen before, during and after your procedure, and any pain you might have. This is your opportunity to understand what will happen, and you can help yourself by preparing questions to ask about the risks, benefits and any alternatives to the procedure. This will help you to be informed, so you can give your consent for the procedure to go ahead, which you may be asked to do by signing a consent form. The procedure for removing your wisdom teeth will depend how deeply impacted your teeth are. Many wisdom teeth can be extracted simply like any other molar. Once the anaesthetic has taken effect, your dentist or oral surgeon will widen the socket (the area your tooth sits in) using a tool called an elevator or a pair of special forceps. He or she will then move the tooth from side to side until it is loose enough to be removed completely. However, if your tooth is more difficult to remove, your dentist or oral surgeon will cut through your gums and may remove some of your jawbone to reach your tooth. He or she will remove your wisdom teeth and then close your wounds with stitches if necessary. Most wisdom teeth only take a few minutes to remove, but the more difficult cases can take around 20 minutes. After a local anaesthetic, it may be several hours before the feeling comes back into your jaw. Take special care not to chew on the area or have any food or drinks that are too hot, as these could burn the area. Your dentist or oral surgeon will give you some advice about looking after your teeth and gums before you go home. You may be given painkillers, antibiotics and mouthwash solutions to take home. You may also be given a date for a follow-up appointment. If you need them, you can take over-the-counter painkillers such as ibuprofen. Follow the instructions in the patient information leaflet that comes with your medicine and ask your pharmacist for advice. Don’t take aspirin because this can make bleeding worse. Don’t vigorously rinse out your mouth during the first 24 hours after having a wisdom tooth removed because this can disturb blood clots that help the healing process. After meals, you can rinse gently with warm salt water (half a teaspoon of table salt dissolved in a glass of water). You should brush your teeth as usual, but keep your toothbrush away from the healing wound for the first couple of days. At first, you may feel small fragments of bone with your tongue. These are the edges of the tooth socket and will soon disappear as your gum heals. To begin with, you should eat soft foods, gradually returning to your usual diet once your jaw feels less stiff. These are the unwanted, but mostly temporary effects of a successful treatment, for example feeling sick as a result of a general anaesthetic. You may have some facial swelling, bruising, pain or jaw stiffness for up to two weeks. These symptoms are usually at their worst for the first two or three days and then gradually improve. This is when problems occur during or after the operation. Most people aren’t affected. The possible complications of any operation include an unexpected reaction to the anaesthetic or excessive bleeding. The exact risks are specific to you and will differ for every person, so we have not included statistics here. Ask your dentist or oral surgeon to explain how these risks apply to you. The cost of wisdom teeth extraction can be vary depending on the complication of the surgery. Another factor influencing the cost of removal is the wisdom tooth’s proximity along with the adjacent nerves and teeth. For this reason, the costs associated with impacted wisdom teeth are notably higher than those of already surfaced wisdom teeth.